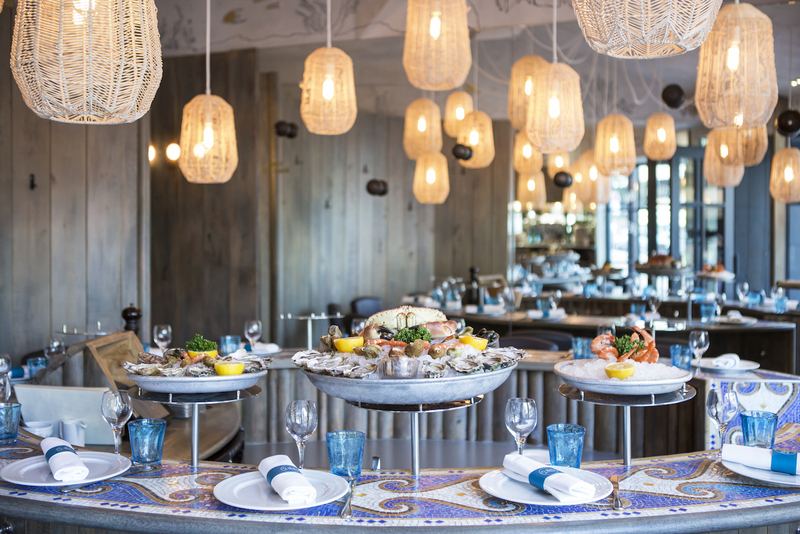 Adjoining Le Ballon des Ternes, Le Ballon & Coquillages is a shellfish bar located opposite the Palais des Congrès, offering informal conviviality around its circular bar to seat fourteen guests. Le Ballon & Coquillages is the ideal place for lunch or dinner either alone or with a companion; the layout of its circular bar, and the originality of its concept, lends itself perfectly to camaraderie and cordiality. Le Ballon des Ternes is open every day, including Sundays. 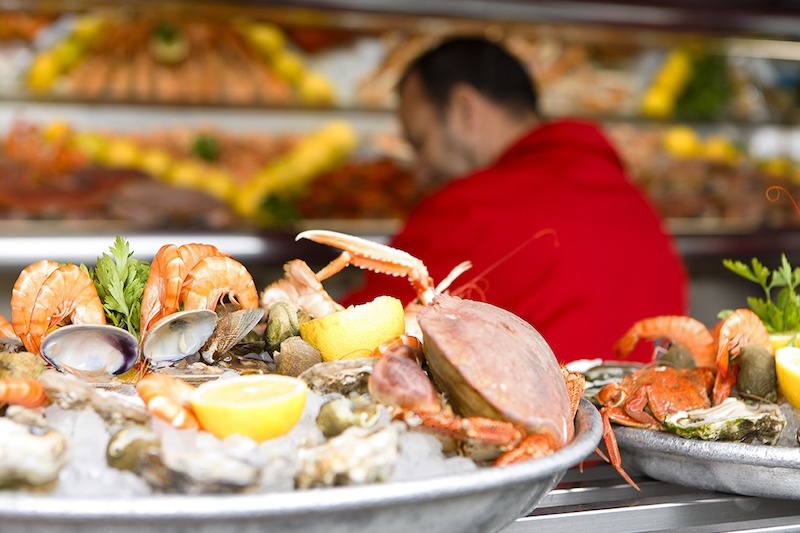 Daily deliveries of shellfish are the guarantee of impeccable freshness. True shellfish lovers will delight at the menu’s array of oysters, clams, cockles, crabs, sea urchins and prawns. Generosity and indulgence meet with every guest: each diner is offered a glass of white wine to set the wheels in motion, finishing up the journey on a sweet note with crèmes brûlées and other beloved classics of French pâtisserie.